There is nothing more wonderful than walking into a room that is rich with fragrance. 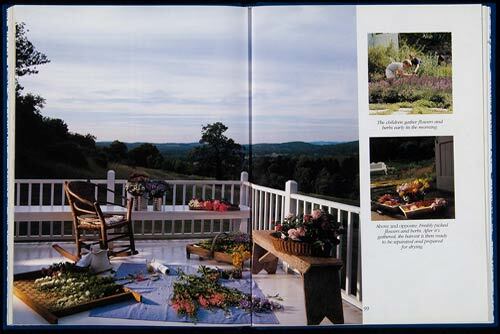 This book, which has become a classic, offers a treasure trove of ideas for scenting and decorating your home with dried flowers and herbs. There are easy how-to’s for making potpourris, including Cherchez’s signature Old English Rose; making and using sachets, pomanders, floral waters, lavender pillows; and more. Create beautiful wreaths, door bouquets, tussie-mussies, and arrangements to enhance every room in your home and share Barbara’s techniques for gathering, drying and storing your botanicals. The Scented Room will inspire and delight anyone who wants to enjoy the fragrant beauty of flowers all year round. 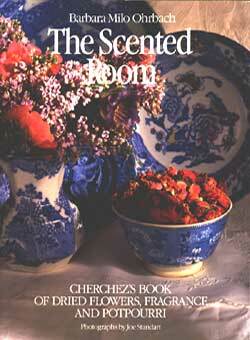 Also available The Scented Room Gardening Notebook, $15.95.